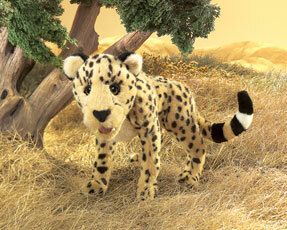 Folkmanis 2913 - Representing one of the world's most recognizable wild predators, this Cheetah Puppet will have big cat lovers pouncing! Built for speed, this Cheetah is long and lean and features a movable mouth. Measures 19" x 6" x 12".